MainAll NewsInside IsraelWatch: What do Netanyahu and Bennett agree on? Ma'agalim celebrates 20 years of dealing with at-risk youth by getting the two rivals to participate in a celebratory video clip. Ma'agalim was founded 20 years ago to help and support youth who are at a critical and significant juncture in their lives before they graduate from high school and embark on real life. Today, the organization operates with more than 8,000 youth annually throughout the country, particularly in the periphery. At the same time, there are thousands more boys and girls who need Ma'agalim in order to succeed in life, to have a meaningful service in the IDF, and to continue to higher education. As such, Ma'agalim launched a campaign to raise funds in order to expand the services it offers at-risk youth. 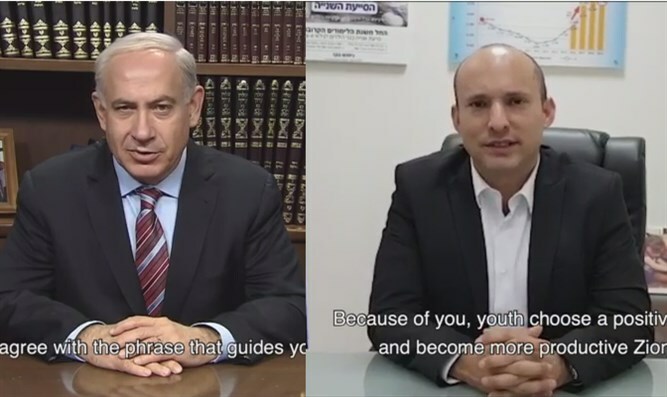 Prime Minister Binyamin Netanyahu and Naftali Bennett, who heard about the campaign, asked to join the fundraising effort and blessed Ma'agalim for the contribution to Israel's youth. Click here to donate.